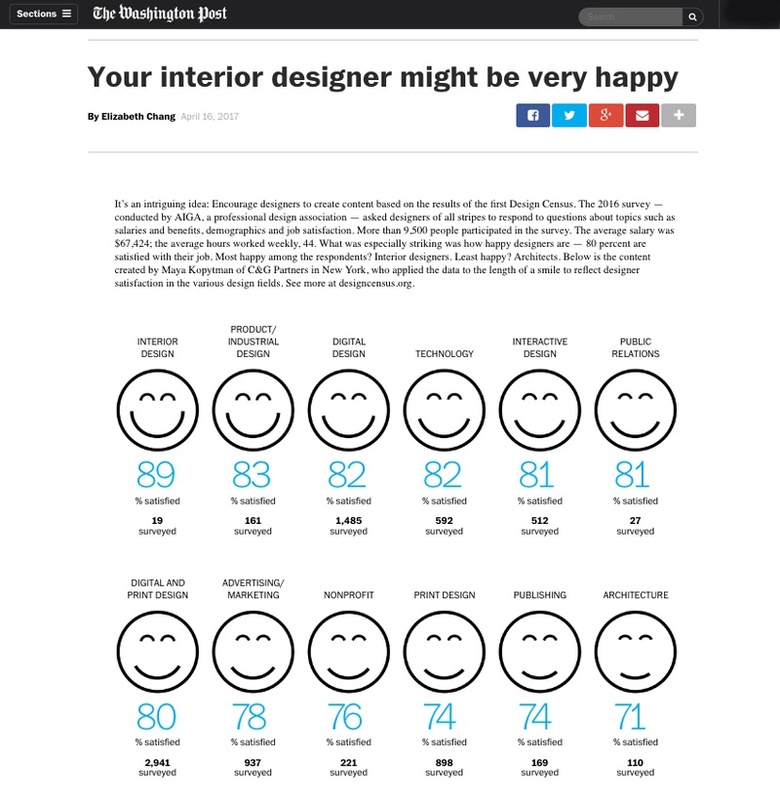 The Washington Post lifestyle column "Crunched," included the article "Your interior designer might be very happy," based on C&G Partners datagraphic for the first AIGA Design Census. The article features Partner Maya Kopytman's infographic that applies job satisfaction data to the length of a smile. Read the article here.